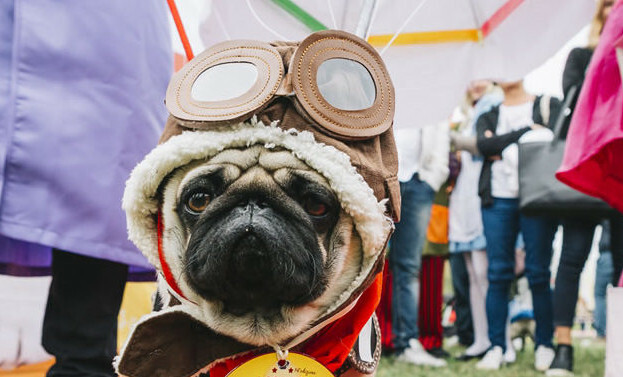 The October 7, 2018 at Cà Lo Spelli took place the famous Ugopiadi, the Olympics of pug dog, arrived at their fifteenth edition. A lot of pugs (about 200) have crowded the Cà Lo Spelli in a sunny day that has enhanced the already enchanting natural beauty. Lots of fun for the public arrived from all over Italy and satisfaction for our staff who accompanied the organizers feeding the most discerning (and hungry) palates with our typical Tuscan delicious plates. The Olympics were held in the usual atmosphere of relaxation and serenity, preceded by the unmissable opening ceremony, the theme masquerade parade, (this year the theme was “Rock and pop”).